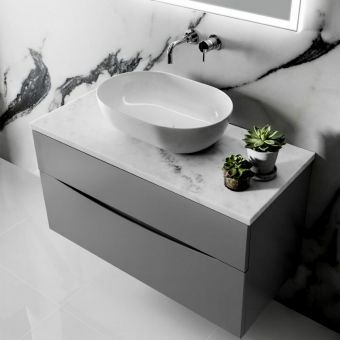 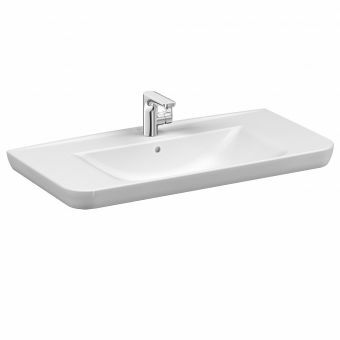 The VitrA Sento two door vanity unit is a cool and chic addition to any contemporary bathroom, pairing with other pieces from the Sento range to create a bold designer statement and strong modern aesthetic that perfectly combines form and function. 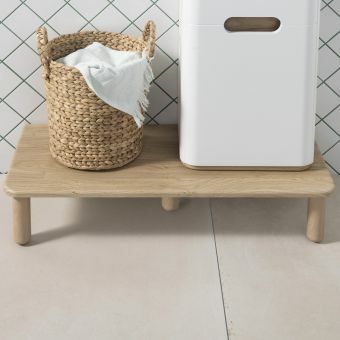 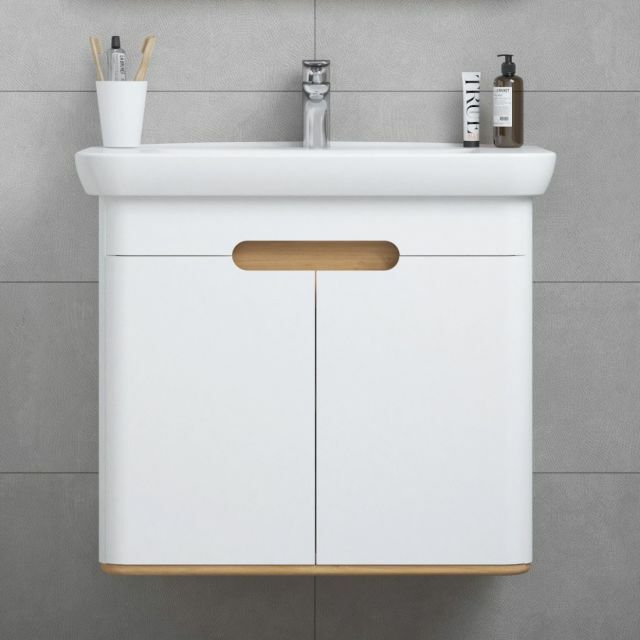 Available in a choice of the three matt finishes in white, cream or anthracite, this stylish vanity is strikingly modern, yet built with VitrA craftsmanship and quality. 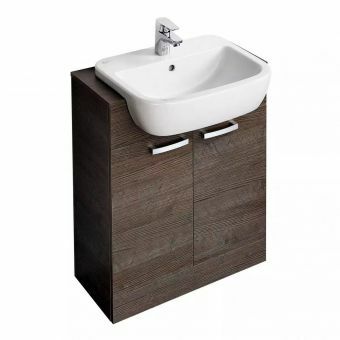 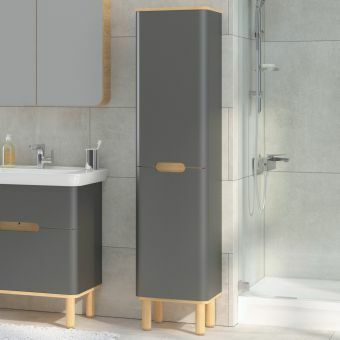 Available in three sizes, 65, 80 and 100cm, this vanity unit is ideal for a cloakroom, family bathroom or stylish ensuite and offers ample storage behind its soft close twin doors. 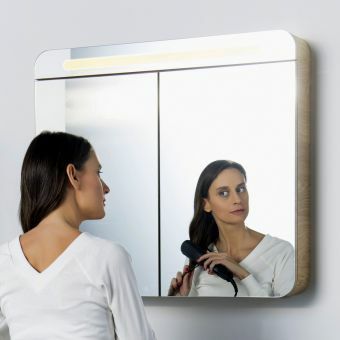 The unit can either be wall hung or mounted on the optional wooden legs for increased stability. 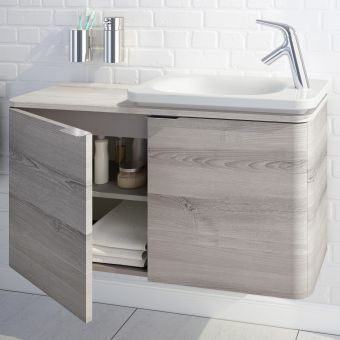 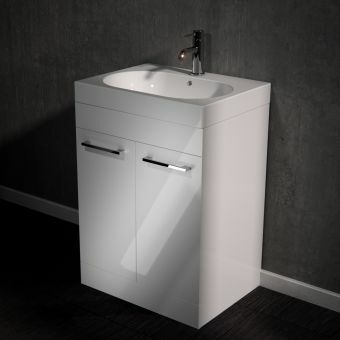 With its clean organic lines, this vanity unit is the sleek and stylish finishing touch for the modern bathroom. 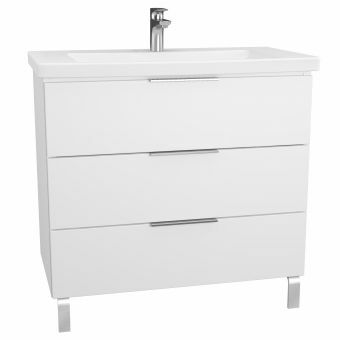 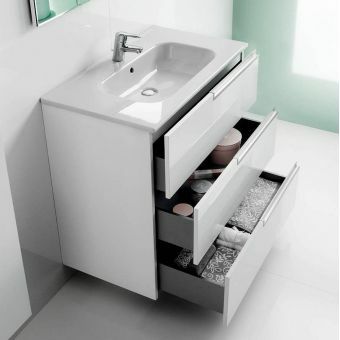 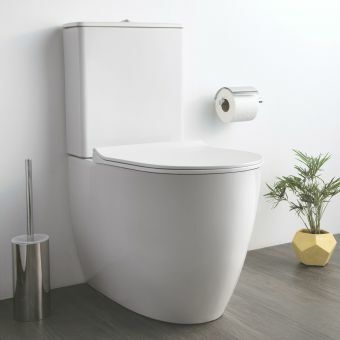 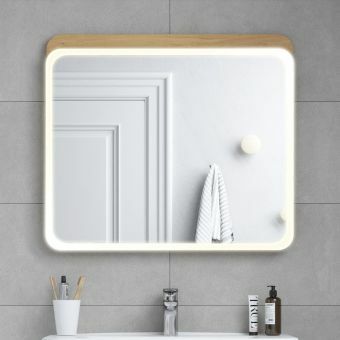 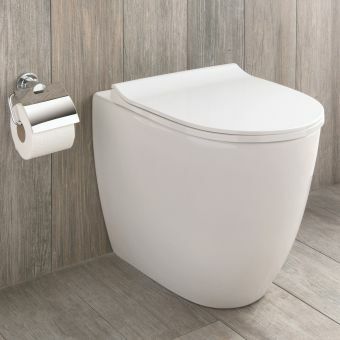 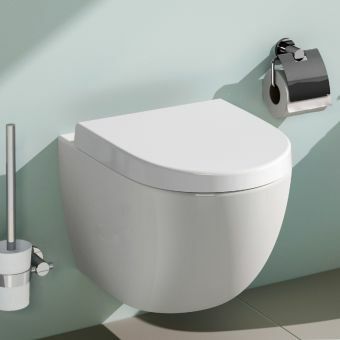 When you need discreet storage and a smart minimalist aesthetic with concealed plumbing, this designer vanity delivers.